Crashteams provides collision and accident investigation and reconstruction services, including solving impacts speeds, calculations of point of impact, 3D animations and all other related accident reconstruction services. March 13, 2019 – We are back! Crashteams is a network of crash reconstructionists in North America. With experts strategically located in the United States and Canada, we can provide service to any location you require, economically. Furthermore, Crashteams is dedicated completely to the traffic accident investigation and reconstruction of vehicle accidents. It isn’t part of our business – it is our business. Within our organization, we have specialists as well as fully qualified and certified reconstructionists in all regions. You may choose any of our accident reconstruction experts to work on your case, and it makes sense to choose an expert in the geographical area where the incident occurred. However, your expert may choose to consult with any of our other experts if the case requires highly specialized knowledge. An experienced team of accident reconstructionists in the US and Canada. 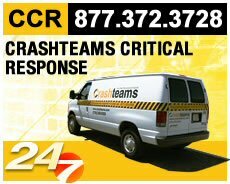 All Crashteams experts are certified in the field of crash reconstruction in addition to other credentials. Crashteams experts are dedicated to performing accident reconstruction and investigation assignments to the highest standard in the industry. 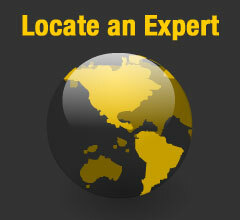 Our experts are part of a large team that carries an enormous body of knowledge that is accessible to all team members. In addition, our experts are ACTAR certified or in the process of obtaining their ACTAR certification. They are required to be continually upgrading their education in the science of accident reconstruction. Many of our experts have engineering degrees. This is a great asset when cases involve mechanical or metallurgical failure, we can use network of accident reconstruction experts on your case and so you are dealing with one company to provide the comprehensive expertise you expect to receive. Every Crashteams accident reconstruction expert benefits from a large network of peers who share their knowledge to benefit you, the client.